Keeping your home rodent, insect and mold free. I love my mold and pest inspector (and remediator) more than my wife. Beth will understand. She loves Mike Travers too. With a calming voice of authority, Mike has personally salvaged several real estate transactions for us by intelligently and reassuringly explaining situations to our panic-stricken sellers and their over-reacting buyers, relaxing once-freaked out parties. The head of Eco Geek Pest and Mold Control in Sandwich, Mike has even talked himself out of business, explaining how sellers and buyers can remediate certain mold situations by themselves. When professional remediation is required, Mike explains the importance of locating and terminating the source of the mold prior to removal. For example, in one home, the mold source was a bathroom that had once, and for many years, been venting moisture directly into the attic instead of venting outside the home – a problem that no longer existed through a recent bathroom upgrade. With the knowledge that the source had been remedied, Mike actually guaranteed to the buyers in writing that after remediation the mold would not reappear. The deal proceeded and closed. Unlike some alarmist home inspectors, Mike Travers puts mold (and insect and rodent infestations) into proper perspective. “Most common household mold is harmless to the majority of people. To them it is not toxic.” Yet, Mike is careful to point out the exceptions: folks susceptible and allergic to molds. He evaluates many factors in a home and the people who will occupy it, before deriving his assessment and suggested cure. Mold issues comprise 65 percent of Eco Geek’s business. 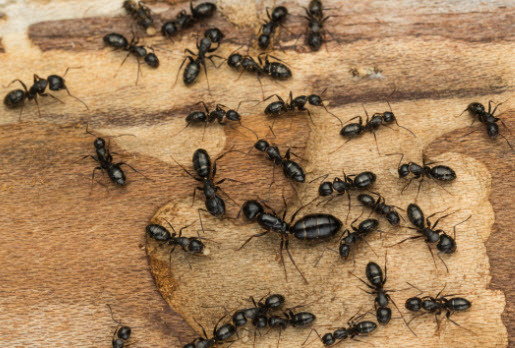 On the rodent and insect front, Mike reports that mice and wood-loving carpenter ants are the most prevalent cases he sees in the Cape and Plymouth areas. “Carpenter ants can do the most financial damage.” Mice? “They love to burrow and live in fiberglass insulation, which is among their favorite spots,” Mike reports. And they use fiberglass as their indoor toilet, dramatically lowering its insulation’s R-factor. “If insulation is your walls, it’s not practical to tear out your sheet rock and replace the insulation.” Thus, regular personal and professional inspections are important. Homeowners are often in denial about mice infestations, Mike Travers says. “But we have two cats,” he will hear them retort. Cats might keep the open living areas free of mice, but not their hidden living spaces, Mike says. At Beth and my personal home on Plymouth’s Bay Shore Drive, Mike easily discovered in our basement insulation the existence of burrowed mouse tunnels, droppings, and urination – something that he maintains any reasonable home inspector should have pointed out. However, when Beth and I downsized and relocated to Plymouth from Boston several years ago, we didn’t know home inspectors in the area and used the (bad) recommendation of a friend. The inspector’s company was unsympathetic, arguing that the their (fine-print) contract does not inspect for insects and rodents. Nevertheless, this problem was so obvious that a decent inspector should have mentioned it to us, included it in his report and noted that we have a professional rodent inspector look at the problem. Back to Mike Travers and his Eco Geek company, which uses environmentally friendly treatments to spare humans. And, of course, his work is performed to government standards. Find his firm at: www.EcoGeekPestControl.com. The best way to treat any type of mold is to first try to prevent it. The most common household mold types usually develop through water damage or damp surfaces that are not regularly cleaned and dried. Do your best to fix any leaking pipes, dry out wet areas in the home and to regularly clean carpeting, wooden floors and walls. The mold can be dangerous to a person’s health. Allergies, asthma, irritated eyes, headaches, and even lung disease can result from toxic mold, breeding within a home, Mike Travers notes. Mildew is a surface fungi that can easily be identified as a patch of gray or even white fungus lying on the surface of a moist area. Mildew is easily treated with a store bought cleaner and a scrubbing brush. Mold, on the other hand, can be black or green and is often the result of a much larger infestation. Some of the more common kinds of mold can present serious health risks for people if left untreated. Alternaria: One of the more common molds found indoors and outdoors, Alternaria usually appears in areas that are damp like the sink, shower, or dark and dimly-lit areas outside the home. Health problems for some associated with Alternaria include asthma attacks and allergic reactions. Aspergillus: This mold is very common and does minor damage to those who inhale it. Severe reactions include respiratory infections, allergic reactions, and inflamed lungs. Aureobasidium: This mold is most often found on wooden furniture, surfaces, painted walls and wallpaper as well as around windows and in caulk. If you notice a spotty substance that is pink and black in color in those areas. It’s known to cause more severe reactions than other molds. Chaetomium: Chaetomium mold is found in drywall that has experienced water damage. People typically identify its presence when they smell a musty or old odor in their home. Cladosporium: Homeowners often find the Cladosporium mold inside both cool and warm areas like carpet, wood floorboards, wooden cabinets and old fabrics. Being around the Cladosporium mold can leave some homeowners with breathing problems and respiratory issues. Fusarium: This mold that tends to grow in colder, wetter areas. The typical homes for the Fusarium mold are carpeted areas and similar fabrics. Fusarium can cause the standard allergic reaction as well as respiratory infections and inflammation. Penicillium: This mold can be found inside insulation, furnishings, water-damaged furniture, carpeting and more. Penicillium is known for spreading quickly throughout the home and can cause homeowners to have sinus infections, lung inflammation, as well as allergic reactions. Stachybotrys Chartarum: Black mold or Stachysbotrys Chartarum is also called toxic mold. It creates toxic compounds known as Mycotoxins. The compounds cause those that breathe the mold in to develop breathing issues, sinus infections, depression, fatigue, asthma attacks and more. 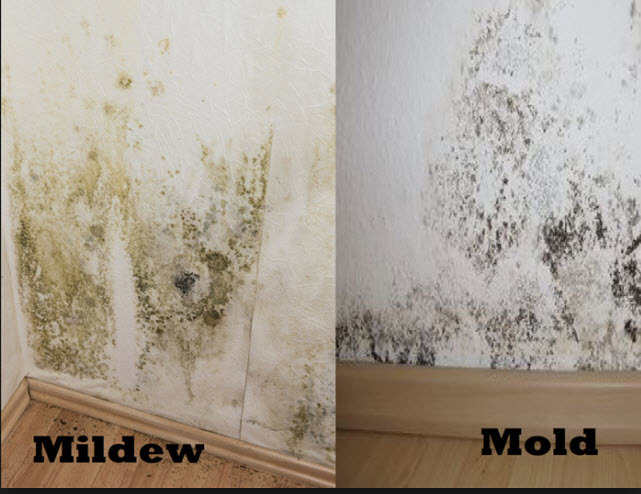 This mold type can be identified by its musty smell and is found in areas that stay damp, like air conditioning ducts. Serpula Lacrymans: This mold is commonly found outside, but can also grow inside on wooden surfaces. This mold leads to dry rot within wood as it feeds solely on wooden surfaces. It’s noticeable by its yellow appearance. Trichoderma: Trichoderma is another damp area mold. Homeowners often find this mold within damp carpeting, wallpaper and similar surfaces. The harm with Trichoderma comes from the production of mycotoxins that can cause sinus infection, allergic reactions, and more. 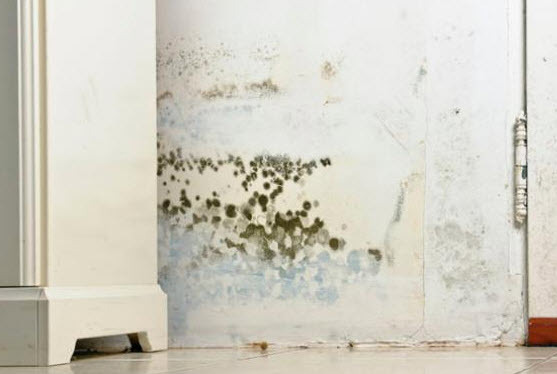 Ulocladium: This mold is found both outside and inside, typically in areas that have been severely damaged by water in the floors and walls of homes that have experienced a flood. This mold causes many homeowners to develop allergic reactions and infections. Once you identify a mold growing within your home, treating the problem is fairly simple. A homeowner can typically take care of common indoor molds with the help of household products. Once your mold problem is gone, do your best to clean regularly and inspect for any returning mold. While molds are a natural part of life, they do not need to be a part of your home. Knowing how to identify, treat and prevent mold will keep you and your home healthy and its occupants happy (or at least less miserable. Smiley face). And you can also call on Mike Travers with any questions or concerns.